Luis Torres is one of the cutest fashion people I know. His enthusiasm for fashion is infectious and he’s a really fun person to shop with. On Wednesday we met up in River North, where we spent the afternoon perusing the racks at AllSaints Spitalfields and Nordstrom. I love shopping with Luis because he always tells me the truth about whether or not he likes the way something looks on me. He has a very good eye about what looks right on the female form. Luis not only runs his own blog, ChiCityTrends, but he also interns at Refinery29 and CS Magazine while holding down a part-time job at Akira. He starts college this fall at UIC. Suffice it to say young Luis has accomplished more as a high schooler in one year than many adult fashion bloggers have in several. He’s a plain old-fashioned hard worker who lives and breathes fashion like I do. Maybe that’s why we became friends so quickly! Find Luis on Twitter, @LuisTJr. Become a fan of his blog on Facebook here. 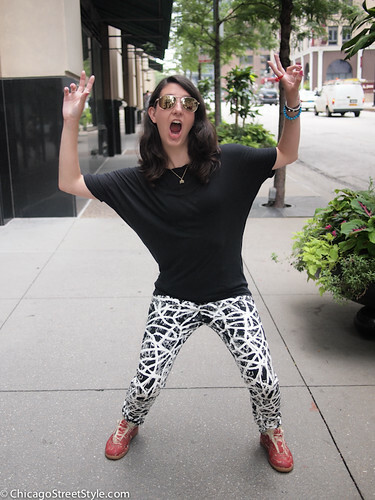 Click below to see a really goofy photo of me doing my best Man-Repeller impression. I’m not kidding. I have a sense of humor and like to mess around. Never take yourself so seriously you can’t make fun of yourself! Remember – I only picked up a camera one year ago and only upgraded to my PEN in December. I am very much a photographer in the midst of the learning curve. I like to share my experiences with all of you to maintain an open honest relationship with my readers. 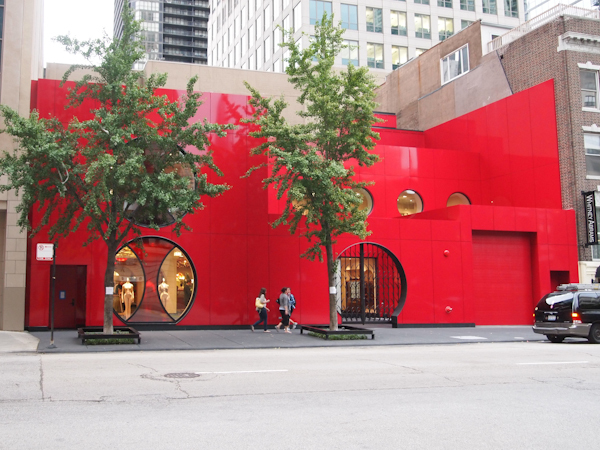 The new ikram, affectionately titled “the Red Box,” opened yesterday morning ending months of anxious speculation within the international high fashion industry about how Ikram Goldman’s new store would look and feel. *I didn’t take any interior photos because I want everyone to visit to see the new store for themselves. Small photos and measly words barely do it justice. But if you really can’t wait, visit the official store opening post at VOGUE.com to see photos from inside.